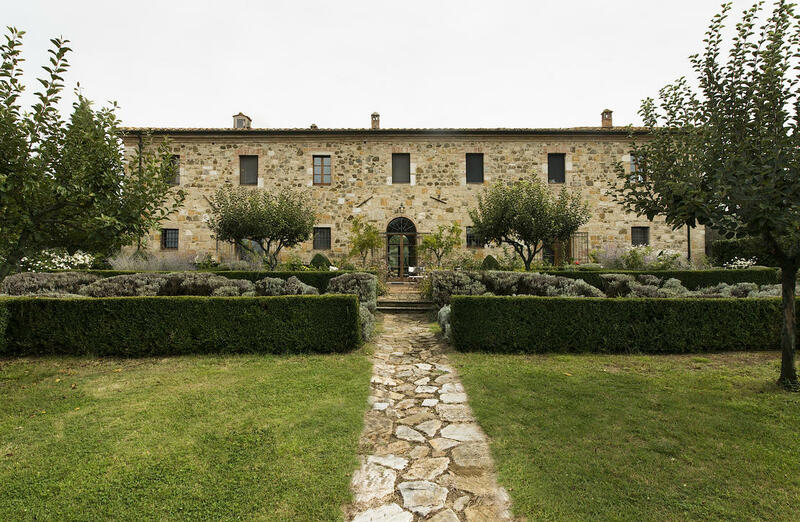 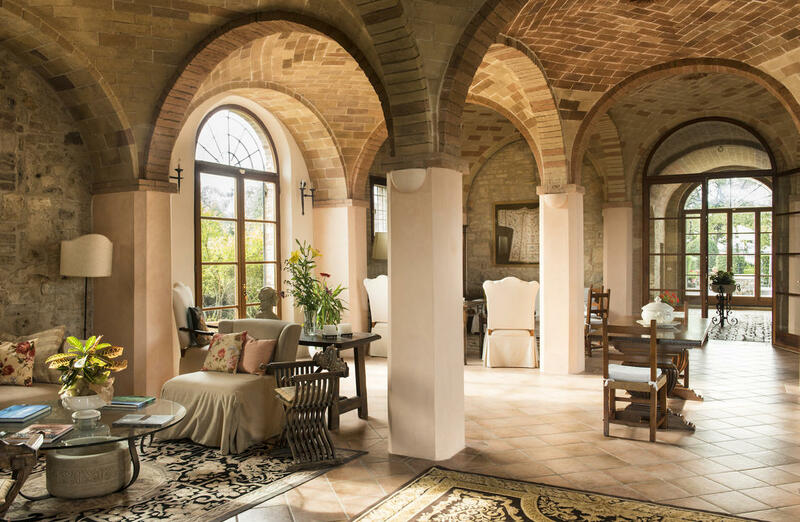 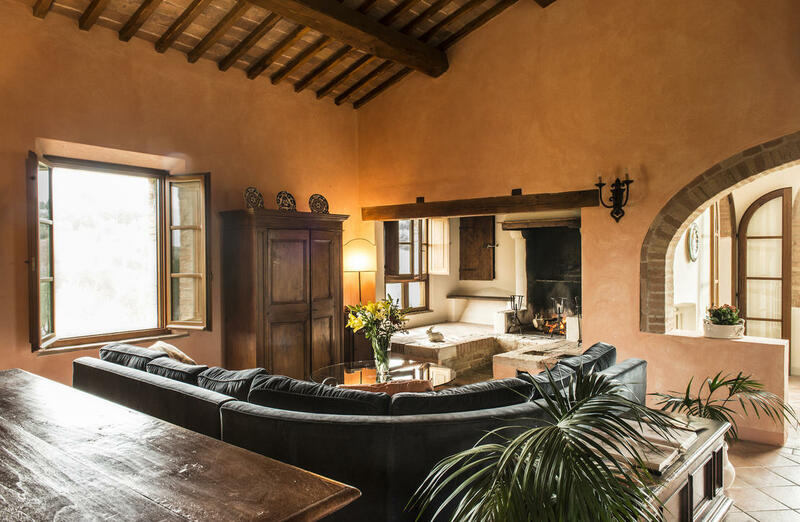 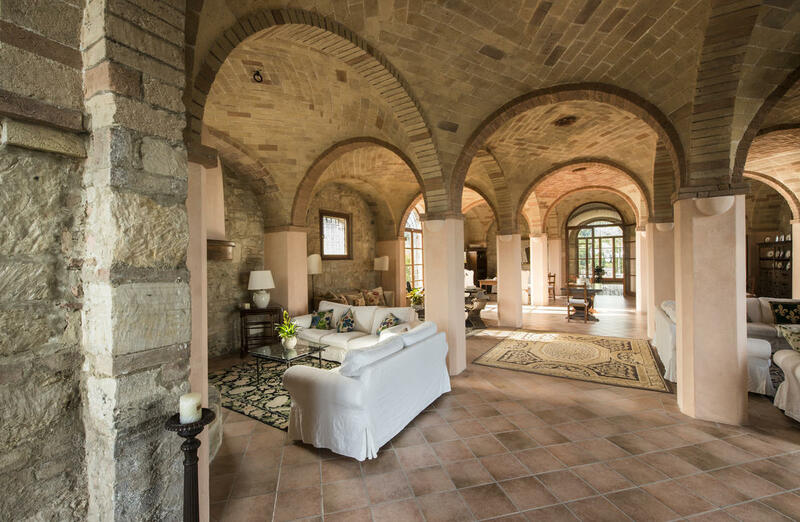 We are pleased to present this stunning restored 11th Century Abbey, located in the magnificent World Heritage site of the Val d'Orcia, Tuscany. 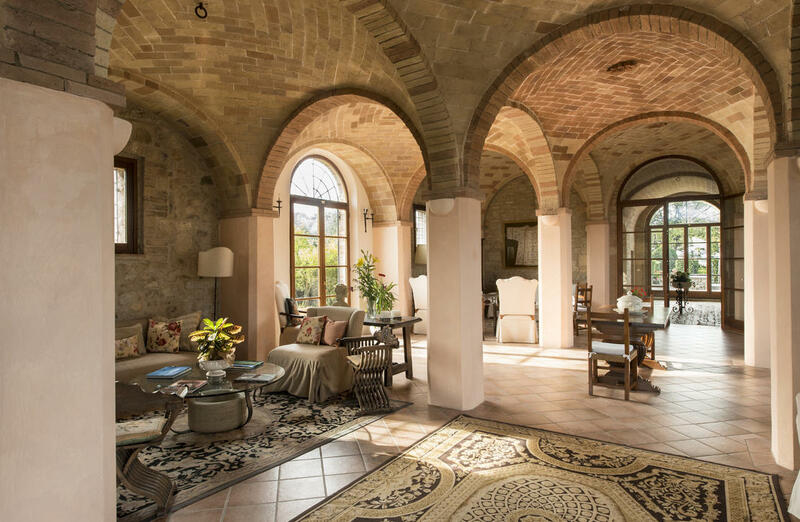 The Abbey became a post house during the middle ages when the medieval pilgrim route, the Via Francegena, passed through the estate. 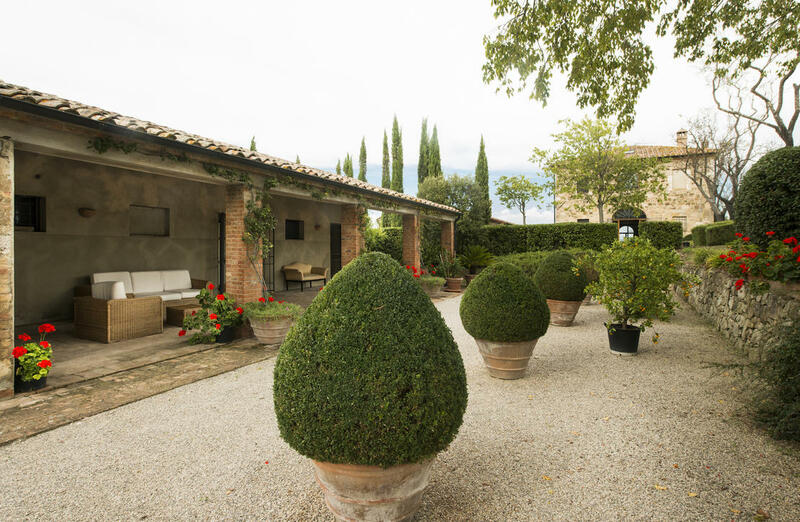 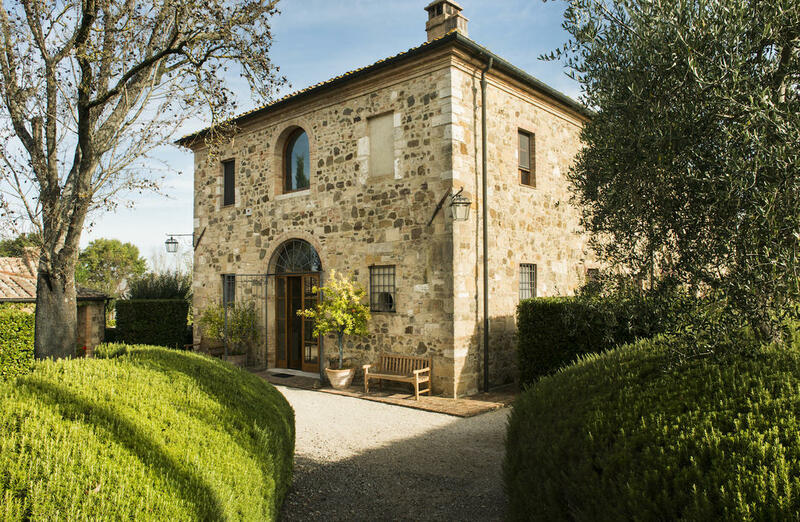 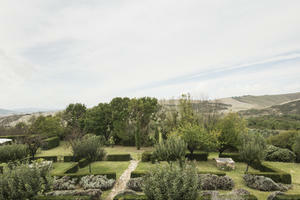 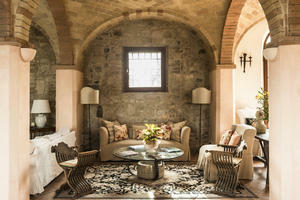 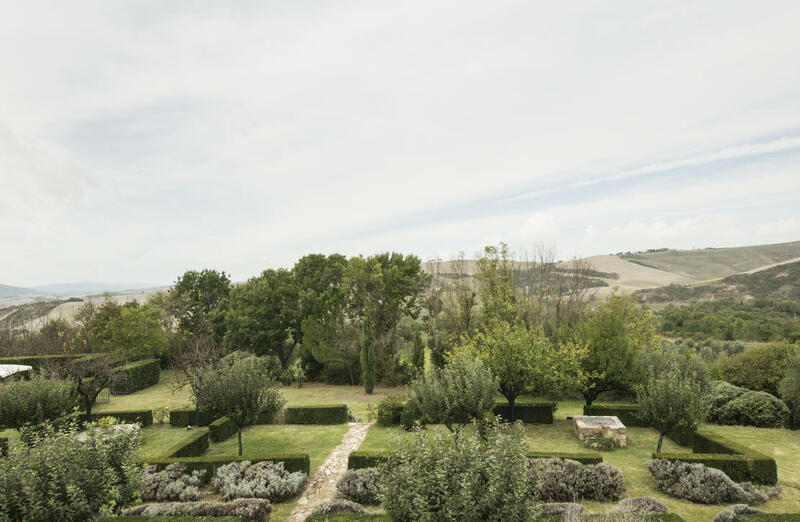 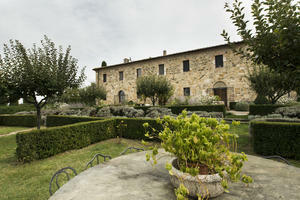 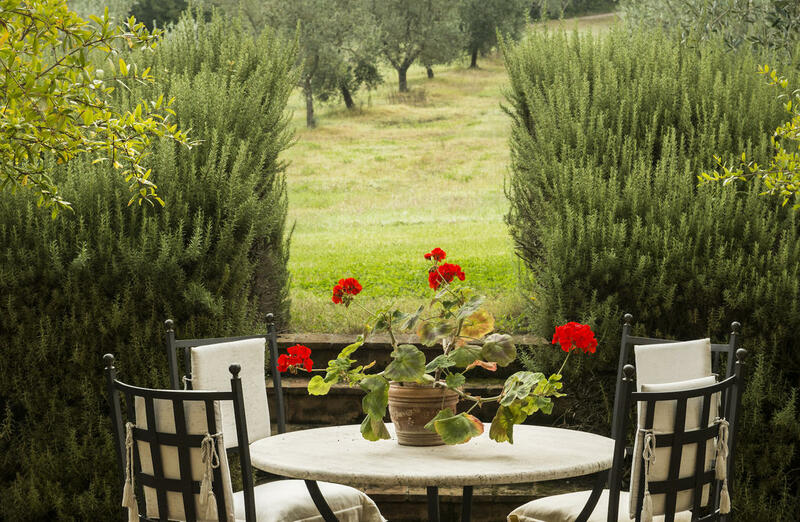 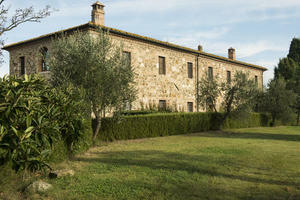 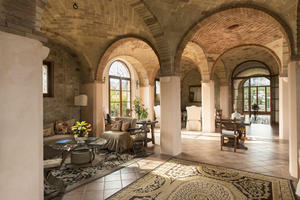 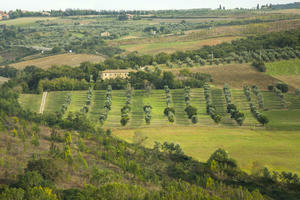 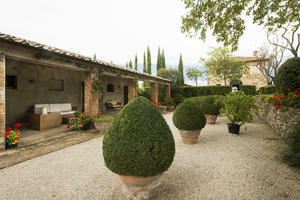 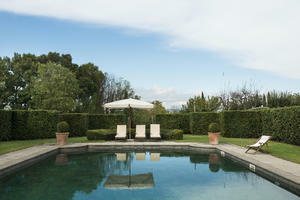 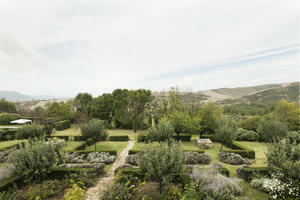 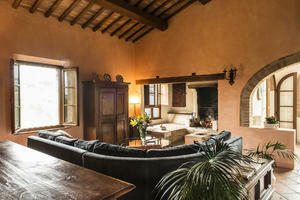 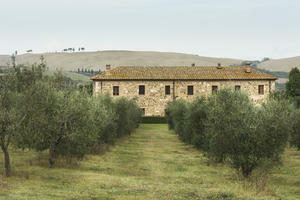 Now it is a beautiful luxury home, set in the rolling countryside of Pienza, surrounded by olive groves and vines. 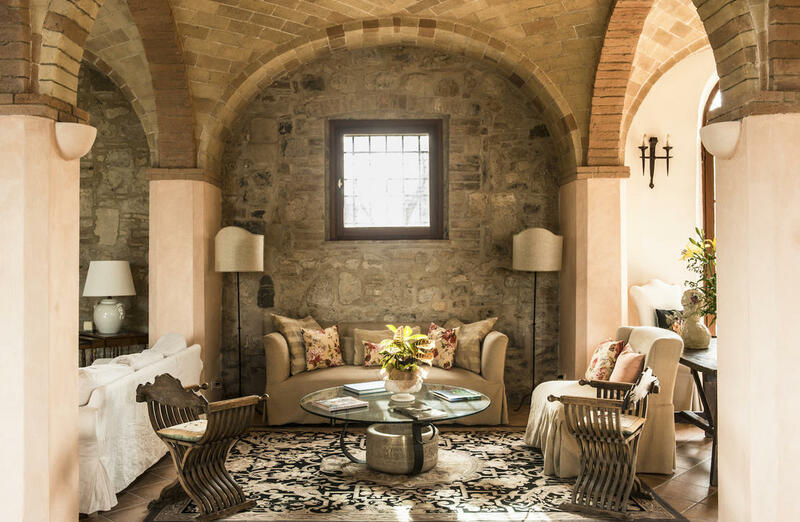 The estate also includes a guest cottage, 30' x 40' marble swimming pool, Medieval chapel, woodburning oven and 12Ha of land including rose garden, olive groves and farmland. 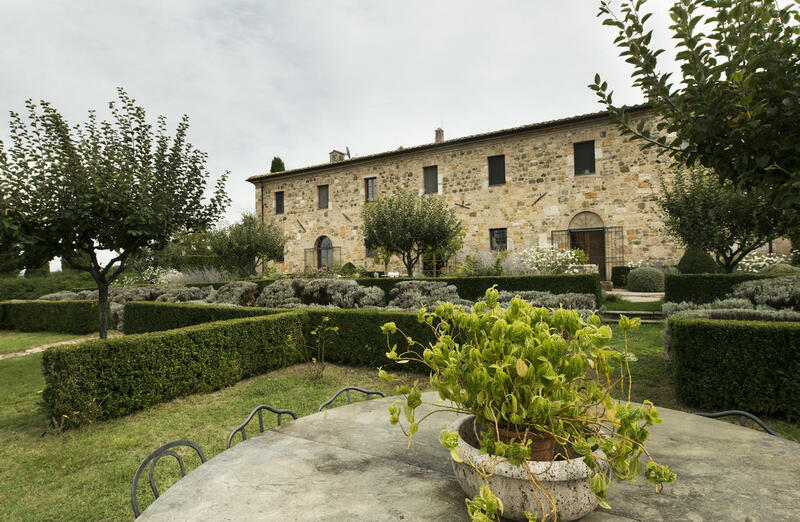 The manor house of 800sqm has been completely and tastefully restored and the fine Italian antique furniture is included in the sale. 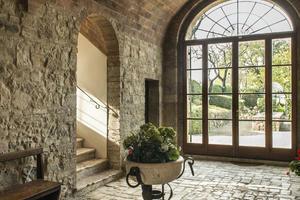 We enter into the huge open plan ground floor via the entrance hall with medieval stone flooring. 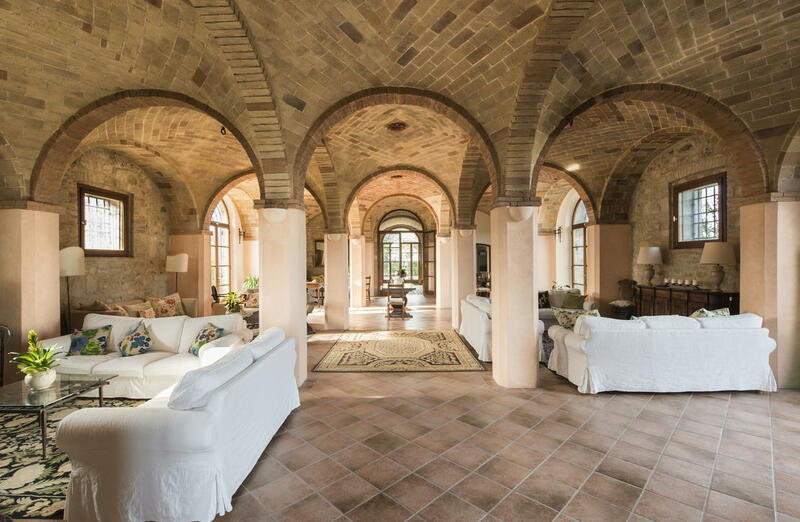 The magnificent original features have been retained, with vaulted ceilings and columns dividing the space into sitting and dining areas. 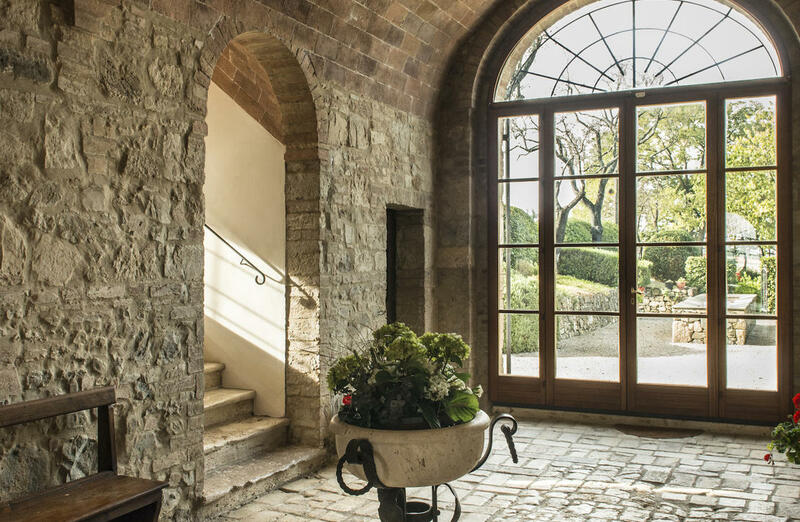 There is an imposing fireplace and french doors which open onto the patio. 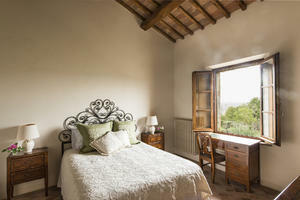 There is a classic style kitchen, laundry room,double bedroom and bathroom. 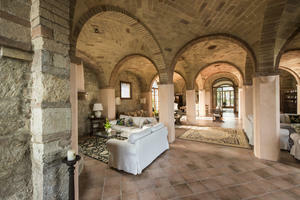 The first floor is accessed by travertine marble staircase or spiral iron staircase into the large winter living room and dining area with second kitchen, library and five ensuite bedrooms comprising: Master suite with sitting area, canopied double bed and ensuite bathroom with a bathtub and shower Double bedroom with ensuite bathroom with a bathtub and shower Double bedroom with ensuite (shared) bathroom with bathtub and shower Twin bedroom sharing above bathroom Loft bedroom with two twin beds and sofa bed, with shower room The Guest House has a living/dining area, kitchen with loggia and terrace and two bedrooms each with ensuite shower rooms. 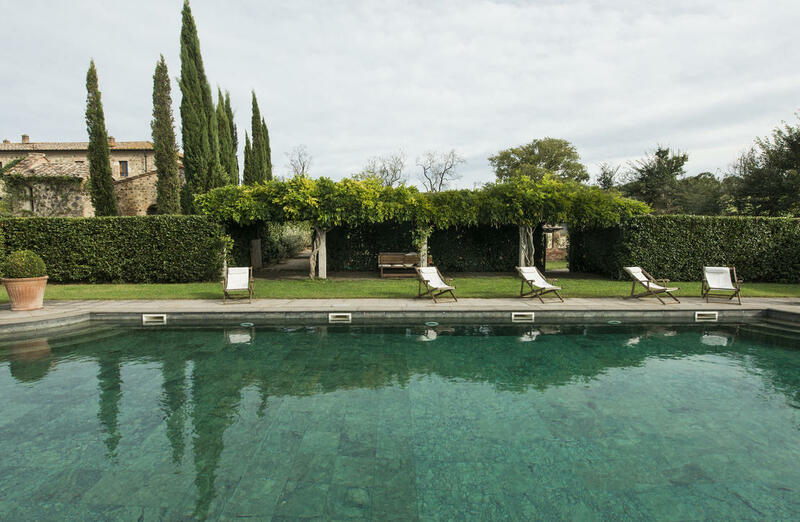 Externally there is a stunning green marble swimming pool surrounded by a beautiful rose garden designed by Peter Curzon, with olive groves and vines extending into the 12Ha of land. Manicured gardens of lavender and rosemary hedging add to the luxury feel of this estate and the whole property is sofly illuminated at night. 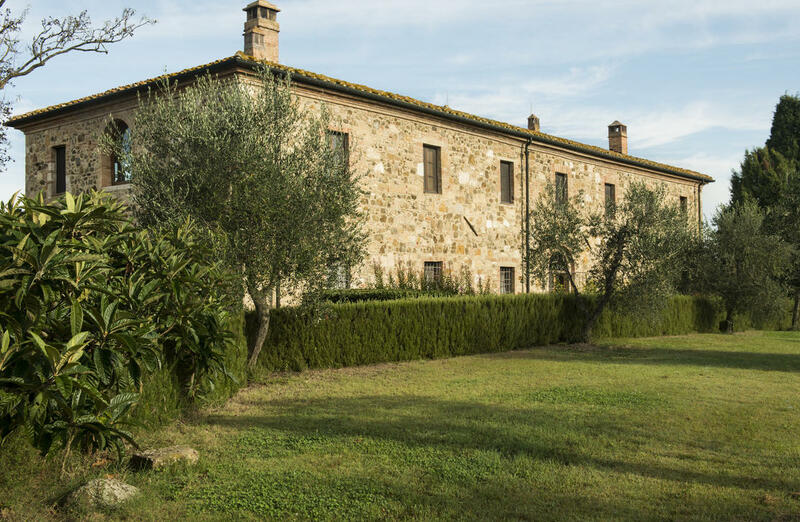 Located in the heart of the highly sought after Val d'Orcia area, just 5 minutes from the village of San Quirico d'Orcia, 10 minutes from Pienza, 15 minutes from Montalcino, 30 minutes from Montepulciano, 40 minutes from Siena, 1 1/2 hrs from Florence and 2 hrs from Rome.